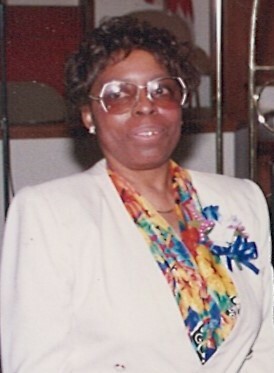 Ruth M. Chavis, 83, of Elkhart, Indiana, moved from this life to life eternal on Tuesday, January 29, 2019. Ruth was the last of 8 children born to George and Odessa (Chandler) Forrest on February 19, 1935 in Bernie, MO. She later relocated to Elkhart where she met and married George Chavis on July 6, 1959 and he preceded her in death in 2008. Five children were born to this union. Ruth was a fulltime homemaker to her husband and children. She was a longtime member of the Community Missionary Baptist Church where she served on the Usher Board until her health began to fail her. 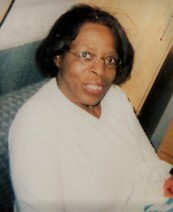 She leaves to cherish fond memories her 5 children: George Michael (Sharon) Chavis, Randy (Bernice) Chavis, both of Elkhart, Rochelle (Robert) Haines of Louisville, KY, Lisa (Ricky) Bell, of Highland Village, TX and Dereck (Llena) Chavis of Holland, MI, 14 grandchildren, 9 great-grandchildren, sisters in law, nieces, nephews and a host of other family members and friends. She was preceded in death by her parents, her husband, and her siblings Mattie Brown, Mercedes Forrest, Wyzella Simmons, George Forrest Jr., Oreatha Davis, Josephine Pulliman and Earlean Gary.